Traditionally, the route to do this was through equity release, usually through a lifetime mortgage – but these are often expensive, and can eat into a borrower’s remaining home equity, limiting what they leave behind in inheritance. But now there is an alternative. Vernon Building Society has launched an offset retirement interest-only mortgage – allowing borrowers to offset part of their loan against their mortgage, and only pay interest on the difference. They’re generally only available to over-55s, but unlike some equity release products the interest is paid off monthly, so it doesn’t roll up and eat into the equity the homeowner already holds. When applying, homeowners don’t have to prove they have a credible repayment plan in place, as they would with traditional interest only-deals, instead only having to prove they can keep up with the monthly repayments. Vernon’s new deal allows retirement interest-only borrowers to effectively reduce their borrowing if they hold funds in an offset savings account with the Society. David Hollingworth, of mortgage broker London and Country, said: ‘Offset is not a new concept in the mortgage market but should have some clear benefits for older borrowers considering retirement interest-only. ‘Those that want to take out some of the equity in their home but don’t need a lump sum to use all at once can offset any excess funds, That will help keep the mortgage interest charge to a minimum but still leaves the cash easily accessible in a savings account, so it can be drawn upon as and when required. 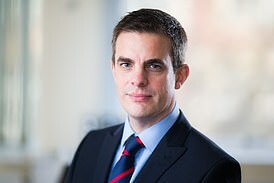 ‘If there’s a downside then the rates are not the lowest in the market and offset is currently available on a 3 year discounted variable basis, so offsetting and fixing the rate is not an option. The borrower can add any of their own savings to their offset account, further lowering the amount of interest they have to pay. There are two deals on offer. The cheaper option is a three-year discounted variable rate at a 1.71 discount to the lender’s 5.2 per cent standard variable rate. This puts the initial rate currently at 3.49 per cent. If the homeowner doesn’t they are offered the same deal, except with the discount to SVR set at 1.21 per cent, making the initial rate 3.99 per cent. Vernon’s SVR can change, so the initial three year deal isn’t fixed for the three year period. After the three years are over, the borrower will start paying the 5.2 per cent SVR. 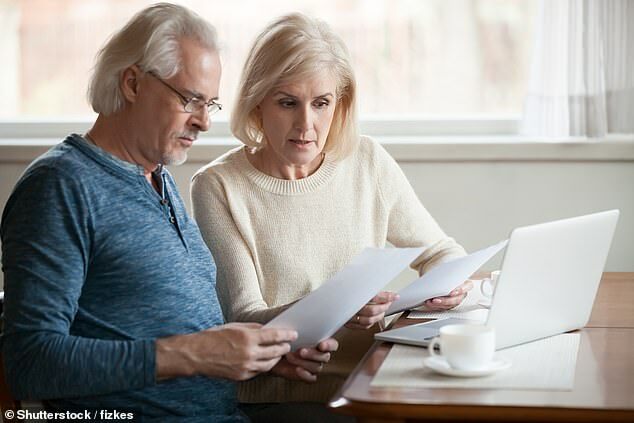 Retirement interest-only mortgages were originally introduced by the financial watchdog as a way for lenders to help retired ‘mortgage prisoners’ – homeowners stuck on interest-only mortgages that are set to mature with no repayment plan in place. A retirement-interest only mortgage has no maturation date and instead is paid back once the homeowner dies or goes into care – allowing homeowners to remortgage from existing deals without worrying about how they will have to pay the loan back. Vernon’s new deal is probably not the right fit for these borrowers, who would likely be better served with a cheaper, standard retirement interest-only deal. And as the funds are held in an offset account until they are drawn upon, this results in lower monthly repayments initially. With Vernon’s deal, as the borrower is making monthly repayments, the interest doesn’t compound and the loan remains the same size. And Vernon’s rate of 3.49 per cent is significantly cheaper than Saga’s 5.65 per cent. By comparison, Legal & General’s drawdown product, the Premier Flexible Lifetime Mortgage, has a rate of 3.50 per cent and is available from 55 years old. There are no fees, and the drawdown can be requested by the homeowner at any point. More 2 Life also has a drawdown lifetime mortgage, the ‘Flexi Choice Drawdown Lite’ deal also available from 55 years old, fixed at 3.63 per cent, also with a no fee option. However, Mansfield’s offering doesn’t feature the offset facility, so you can’t add any of your own savings to lower your monthly repayments. As part of this, the mortgage must be affordable on what is called an individual ‘sole survivor basis’. David Hollingworth, of mortgage broker London and Country, said: ‘Retirement interest-only is a sector of the market that has taken some time to grow but there’s now an increasing range of lender and product options. The FCA, Britain’s financial watchdog, defines the new wave of retirement mortgages as ‘interest-only mortgages for older consumers where, assuming there is no default, the loan is only repaid on a specified life event, usually the customer’s death or move into residential care’. The disadvantage is that interest charges compound over the years which can eat into homeowners’ equity significantly, leaving little to pay for care in later life or to pass on to children. Equity release rates are also higher than standard mortgage rates as they factor in longevity risk – how long you’re likely to live before the lender gets their money back.